Carpet Mill Outlet has multiple locations throughout Colorado, but our Aurora store is one of just two clearance centers. This is the perfect place to shop and save up to 70% off quality carpet, area rugs, laminate, tile, hardwood, stone, granite, and more. We carry overstock and clearance items purchased in truckloads to bring you the best deals in town! 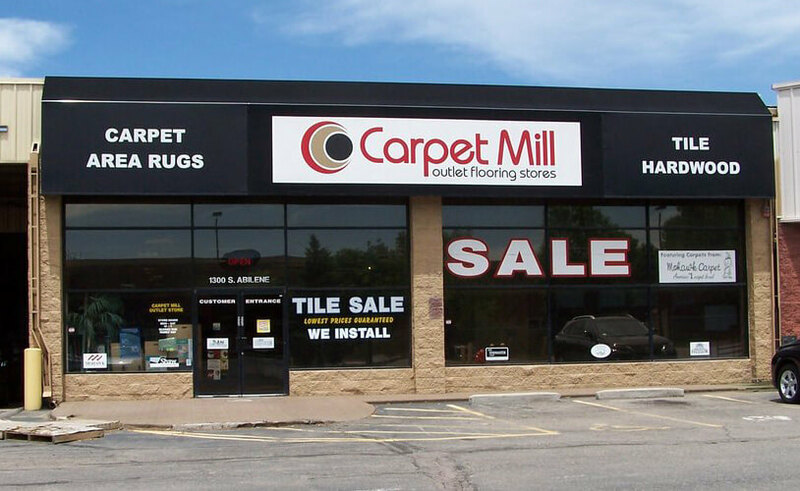 With a variety of flooring choices and installation options at Carpet Mill Outlet’s Aurora store, you may want to enlist our experts to help choose your flooring and take care of the installation for you! We commend to do-it-yourselfers that take on the task of installing their carpets or floors themselves, but we recommend enlisting in our experience and knowledge in how to properly install every kind of flooring correctly the first time. Our professional team understands the challenges of what may lie beneath your current floors and will make sure you are left with a beautiful, quality addition to your home! If you are looking to increase the value, look, and feel of your Aurora home or business, one of the best ways to do this is to add hardwood floors. Adding a rich elegance and a classic look that won’t go out of style, hardwood floors are also incredibly easy to care for and maintain. The three things to consider when choosing a new wood floor are your budget, the application of the flooring, and how long you want it to last. Carpet Mill Outlet is here to help you select the right wood floor for your budget and style and we will assist you with installation. There are endless options that will give a unique look and feel to your home and will fit your individual style. We carry oak, bamboo, cherry, hickory, walnut, acacia, cork, and more! Contact Carpet Mill Outlet’s Aurora store today to learn more about our wide selection of flooring options and clearance inventory. We can install your preferred style of flooring to help create your dream home!